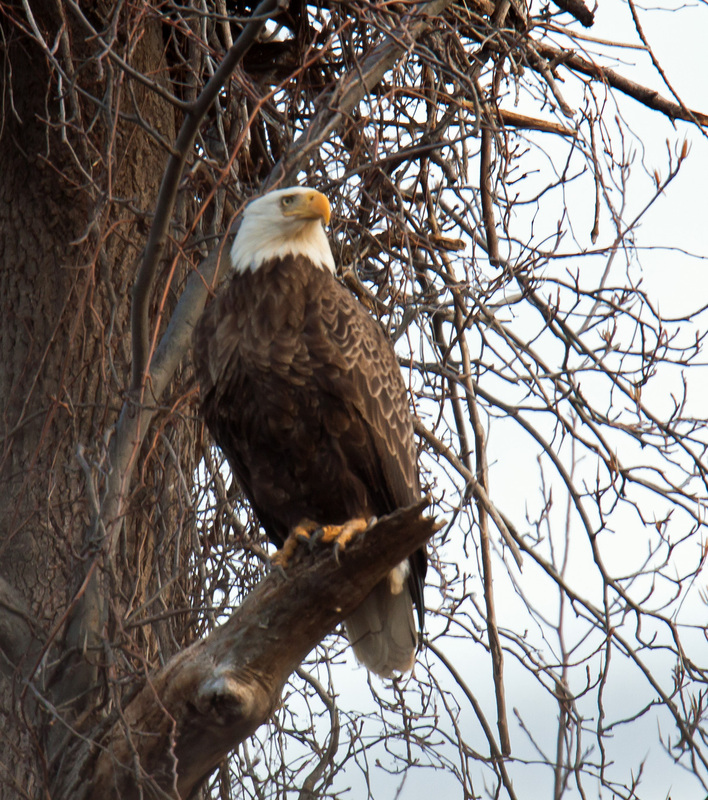 On a recent early morning trip to Occoquan Bay National Wildlife Refuge, I spotted a Bald Eagle (Haliaeetus leucocephalus) perched on a broken-off branch below what appears to be an active eagle nest. Perhaps this was the male keeping watch or possibly the female taking a break. 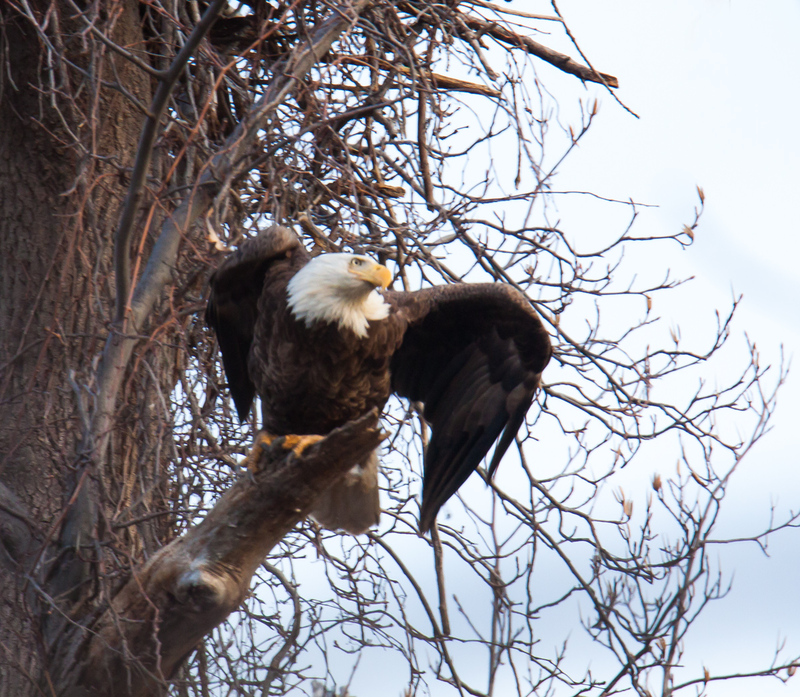 The nest is so high up and deep that it is difficult to determine if another eagle was sitting on the nest. Despite my best efforts at stealth, the eagle detected my presence as I tried to move further down the trail to get a better angle, but I was able to get these shots as the eagle was preparing to take off. 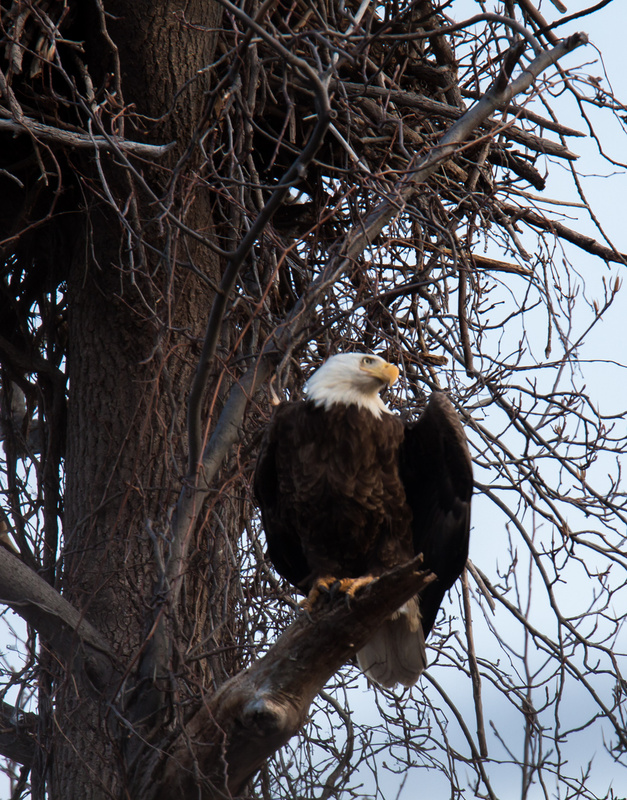 In the middle shot, I did a less severe crop than on the other two in order to give you an idea of how closely the eagle was perched to the nest—the sticks in the upper portion of the image are the bottom of the nest. 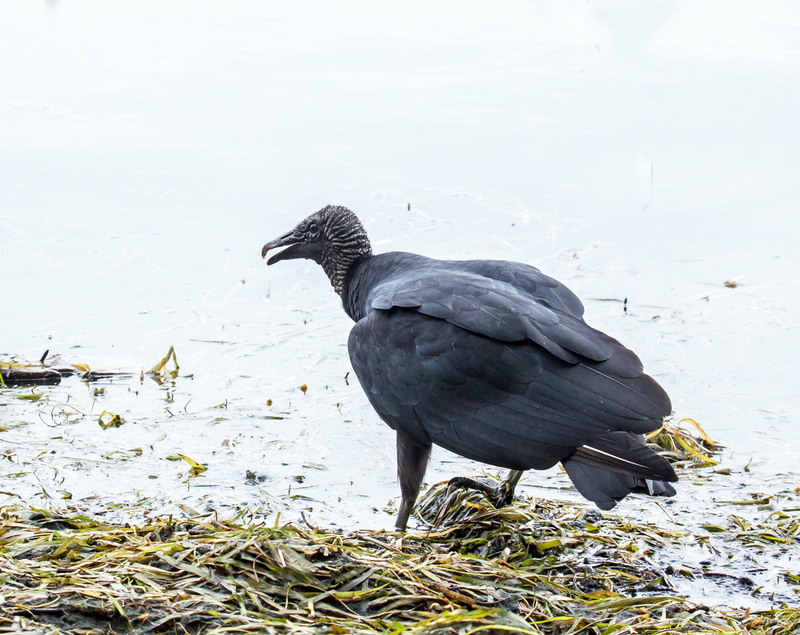 Peering through the vegetation at Occoquan Bay National Wildlife Refuge this past Monday, I spotted several large birds at the edge of the water. 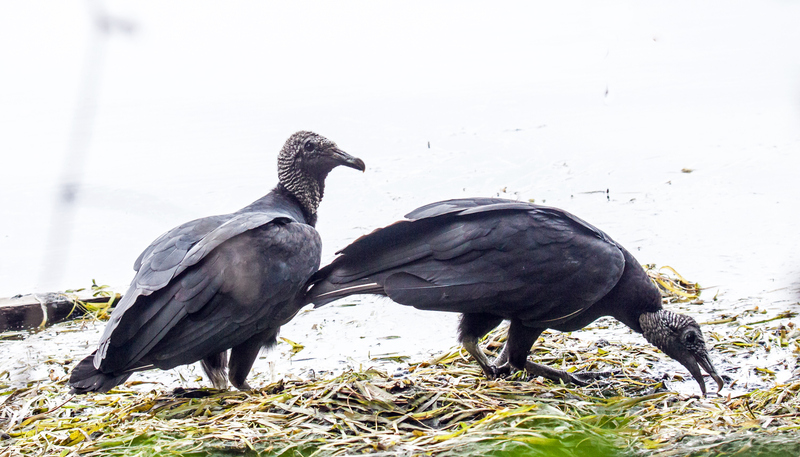 I thought they might be eagles or ospreys, but they turned out to be Black Vultures (Coragyps atratus) that appeared to be foraging as the tide was going out. Do you relax by hanging from a bar in the pull-up position? No, I don’t either, but this Mocha Emerald dragonfly (Somatochlora linearis) chose to do so on Monday when I spotted it at Huntley Meadows Park. 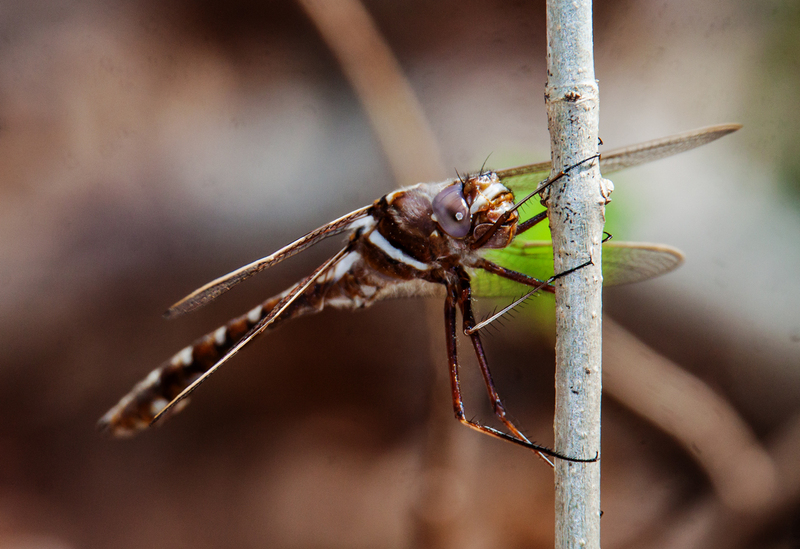 A couple of things really stand out whenever I am lucky enough to spot one of these beautiful dragonflies. 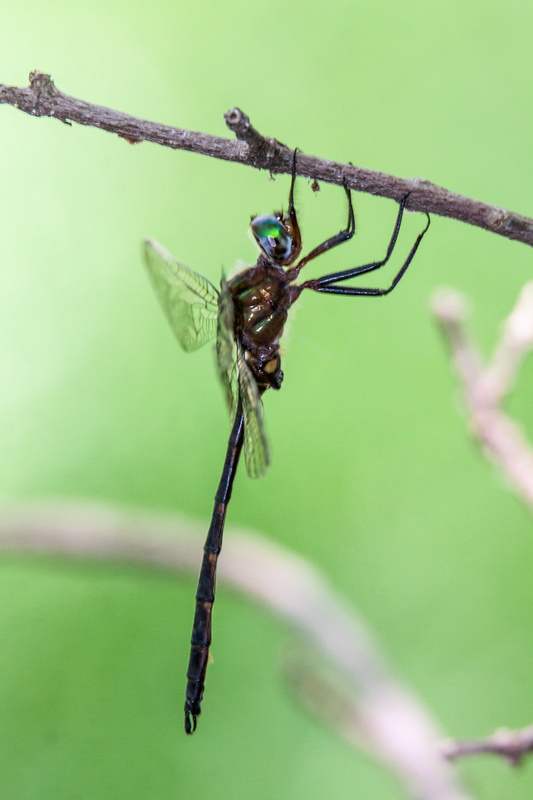 Unlike many dragonflies, Mocha Emeralds don’t appear to like direct sunlight—they seem to hang out at small shaded streams, where the shadows and shade make photography difficult. 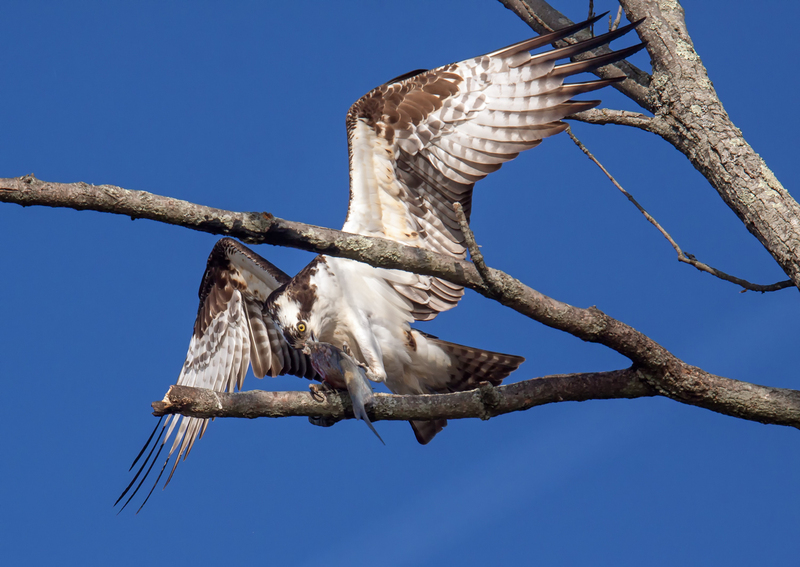 Secondly, they often seem to hang vertically, which emphasizes their extraordinarily long slender bodies. Somehow they remind me of the super skinny young male models that many designers seem to favor, clothing them in garments that those of us with more normal physiques would never ever fit into—unlike those models, we have waists and hips. 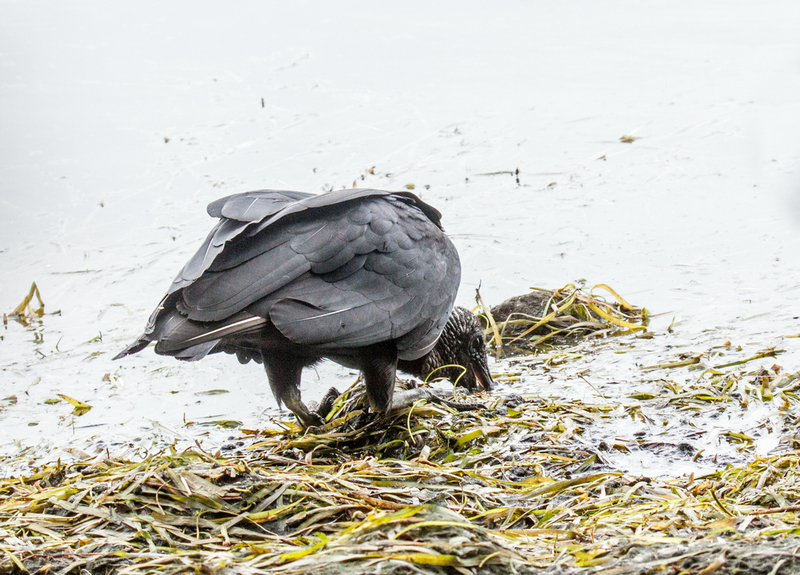 I am not completely certain what these two muskrats (Ondatra zibethicus) were doing on Monday at Huntley Meadows Park. 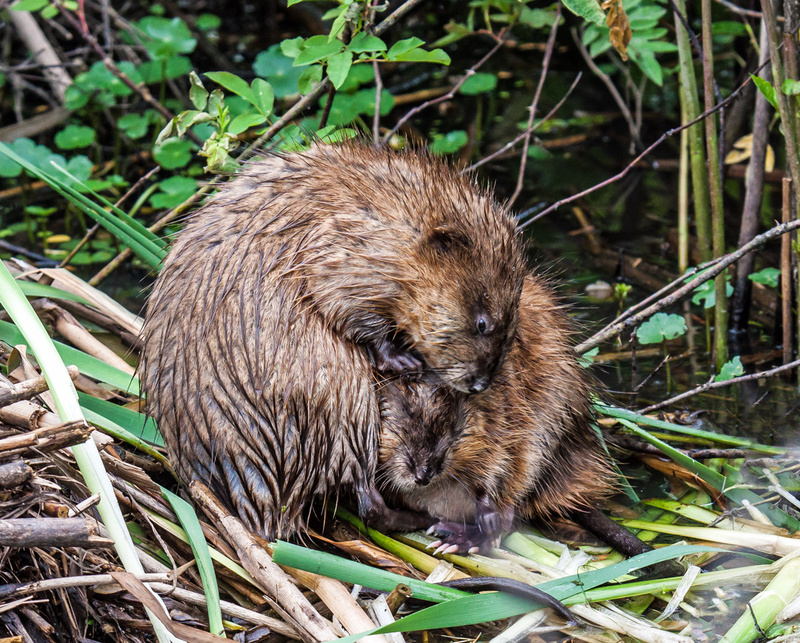 It may have been only grooming, but to me it looks like muskrat love. It was below freezing and windy yesterday morning when I headed out with my camera. 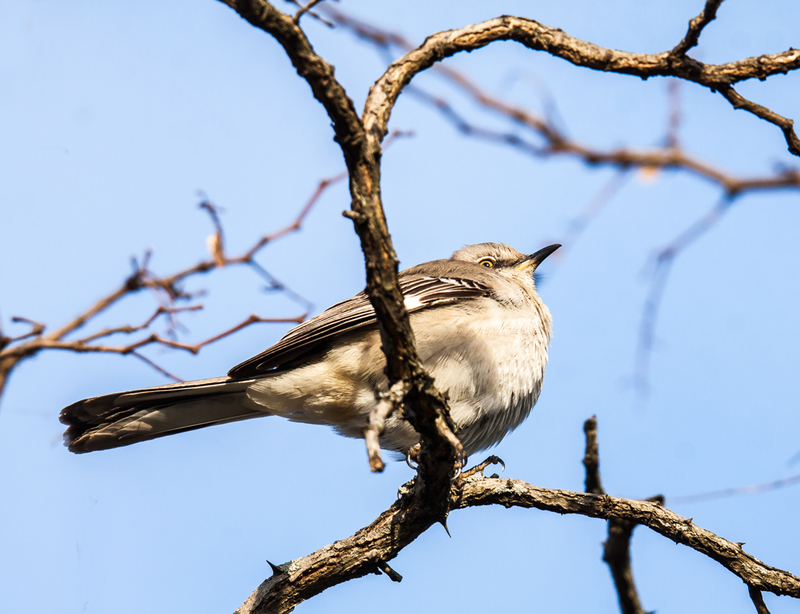 I didn’t expect to see many birds and was a little surprised when I kept running across Northern Mockingbirds (Mimus polyglottos). 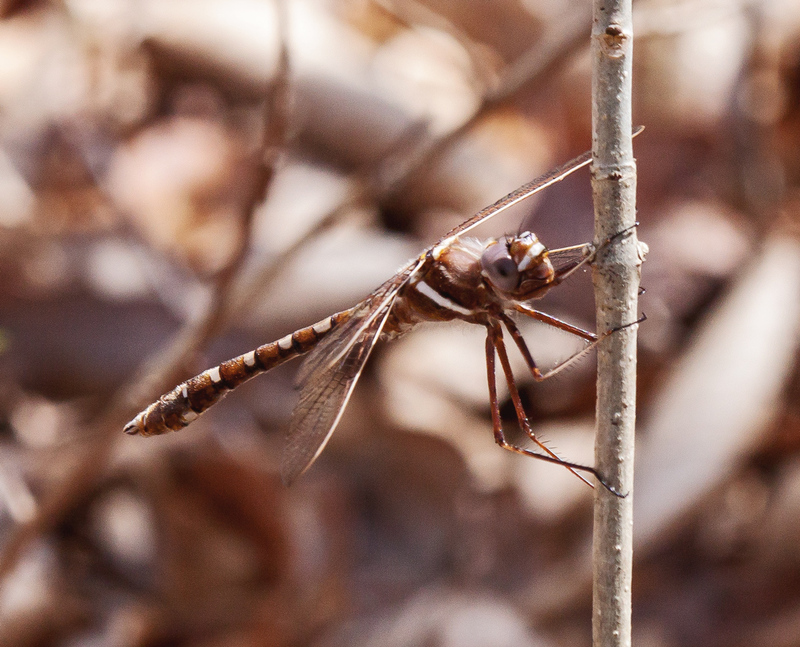 They are pretty common where I live, but I just have not seen very many of them this winter. 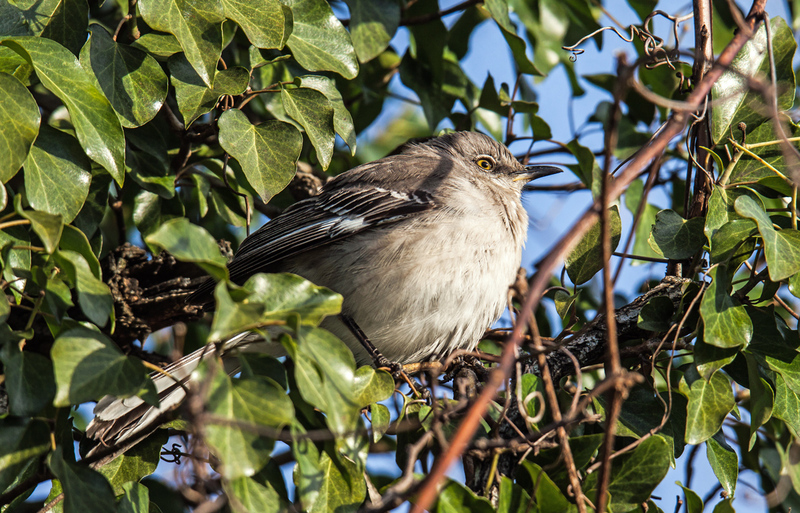 The first one that I spotted was huddled inside a bush with its feathers all puffed up, probably in an effort to keep warm. Another one seemed to be trying to warm up by facing the sun. 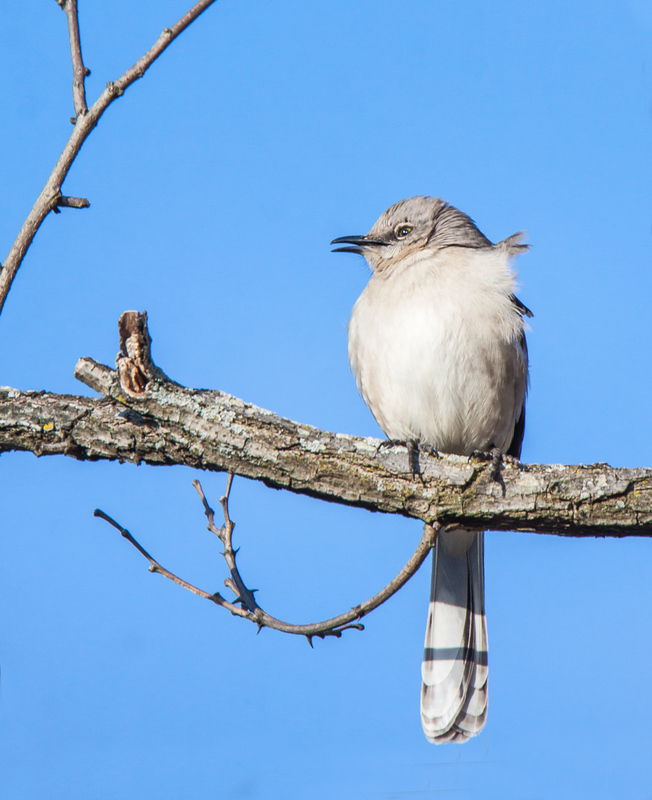 A final mockingbird seemed undeterred by the wind that was ruffling its feathers and boldly sang out a happy song, greeting the arrival of the new day.